The Miss World Fiji 2012 Pageant is under scrutiny following a plethora of allegations – including over the winner’s young age and that her victory was “pre-determined”. The queen has now had her entry to the world stage put off until next year. 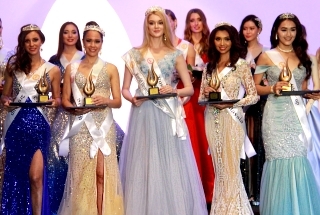 Although the pageant concluded late last month, the Miss World Organisation had yet to add Torika Watters, the schoolgirl winner of the Fiji franchise, to the list of winners on its official website when Wansolwara went to press. The organisation did not respond to queries emailed to it by Wansolwara – but Fiji franchise director Andhy Blake has since confirmed changes. 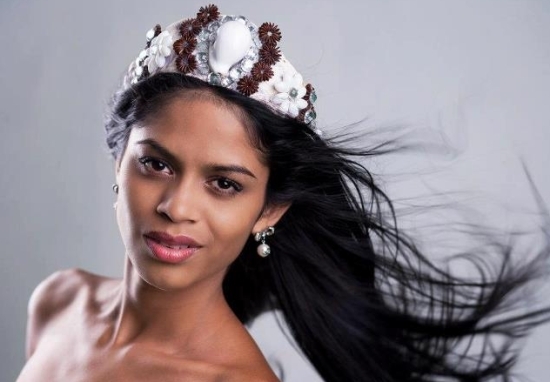 First runner-up Koini Vakaloloma will represent Fiji in Miss World 2012 in Ordos, Inner Mongolia, China, on August 18 and Watters will represent Fiji in Miss World 2013 in Bali, Indonesia. Earlier, Blake had refused requests for an in-person interview with Wansolwara. When asked over the phone whether Watters had been accepted into the international competition, he said “it’s a surprise”. He also declined to comment on whether the funds raised from a charity ball, which was held to create awareness on mental health, had been given to St Giles Hospital. 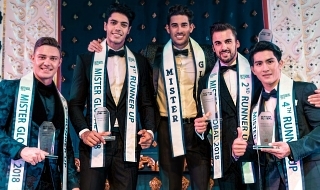 The Miss World pageant is reputed for its charity work. Each country chapter is required to raise money for charity. Blake said the press statement he issued earlier was sufficient and that he would no longer give any other telephone interviews. Meanwhile, in an earlier interview, Pacific fashion designer Hupfeld Hoerder broke his silence to confirm that the six-member judging panel, on which former New Zealand supermodel Rachel Hunter was chief judge, had no input in selecting Miss World Fiji. The panel was required to select the best three from the 13 contestants before Miss World Fiji is selected. Hoerder said 16-year-old Watters was not among the panel’s final three. He also pointed out that Watters will not turn 17 until next year. The international contest stipulates 17 years as the minimum age for entry. Hoerder said the Fiji contest was decided from the start. He said weeks before the crowning, Blake repeatedly declared his preference for Watters to win the pageant. Hoerder, who has experience as a Miss Hibiscus judge, said the fact that they only had one meeting with the contestants was extremely irregular. The assessment also was confined to their life story or experiences. Blake later confirmed in a press statement that no judging criteria or points system was used to judge the contestants. 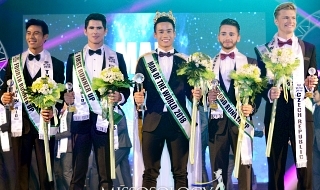 “If you are asked to be a judge for Miss World, then you should come with the mindset of hearing genuine stories and not with the expectations of age, points tabulation,” he said. He added that based on this fact that no judging or points system was employed, any allegations of judging being rigged are false. “I gave my own personal opinions on whoever I saw fitting for the title without influencing the judges as to who should be the rightful winner,” Blake said. Watters declined to talk to Wansolwara without Blake’s approval. However, she was interviewed by Television New Zealand’s Mark Sainsbury. She told TVNZ that she had chosen to ignore the negative criticism and to focus on the Miss World contest in Mongolia. She was referring to criticism that she was unsuitable because she did not look “native” enough. Watters said she took the criticisms as a challenge to showcase what she was capable of. Edward Tavanavanua and Parijata Gurdayal are student journalists at the University of the South Pacific reporting for Wansolwara. this looks sad.. the winner should represent though despite the controversy.. she should fight for it..
Aphroditte wrote: She's pretty/cute & it's Miss World so she's got a chance of placing. Other than that, her beauty is nothing to admire. Koini is quite nice looking. The Miss worrld Fiji peagent was under fire here in Fiji. It was all over the news and the papers that the winner was pre selected even before the peagent started. Torika is just 16 and in grade 11 in high school. I like her alot but i think its best if she waits another year. Koini on the other hand is the right age. I have seen her in person when the contesteants were visiting the Cozmo lounge and she is even more stunning in person, plus she has modeling and peagent experience. She was the 2nd runner up at the Miss Fiji Hibiscus contest. Koini has a very interesting back ground. She was abondoned as a baby and adopted by a Fijian family. Her birth parents were Indo-Fijians that why she looks so Indian. However she speaks fluent Fijian. People ususally ask her whetehr she considers herself Indian or Fijian and she responds that she is a Fiji Islander. She's really cute, prettier than the other winner. Hobbies/Interests: Let's talk about beauty! Message: Brasil: Com muito orgulho! Com muito amor!